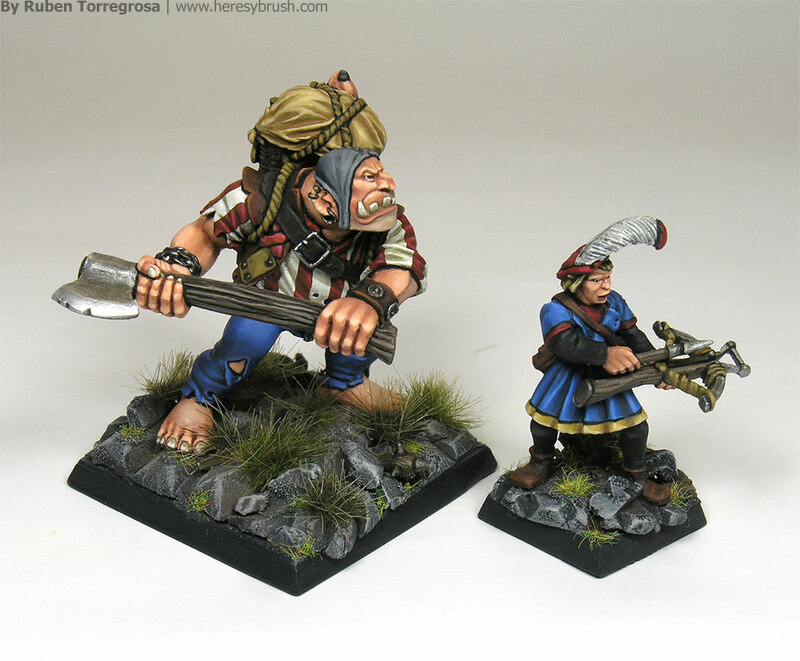 Mordheim – Mariemburg WarBand – An update! Hi folks!. Last Monday I played a new chapter of the Mordheim Campaign I’m playing over here, in Finland. Although it was a disaster and my warband was literally destroyed by a Chaos horde, at least I didn’t lost any man!. Here I post the current status of my Mariemburg Warband with the new reinforcements.Time ago I showed you the beginning of my human warband for Mordheim (click here). During my first game I lost my captain and another hero, and therefore I decided to re-start my warband. But since that moment, I have only lost one henchman (of course, now I don’t risk). 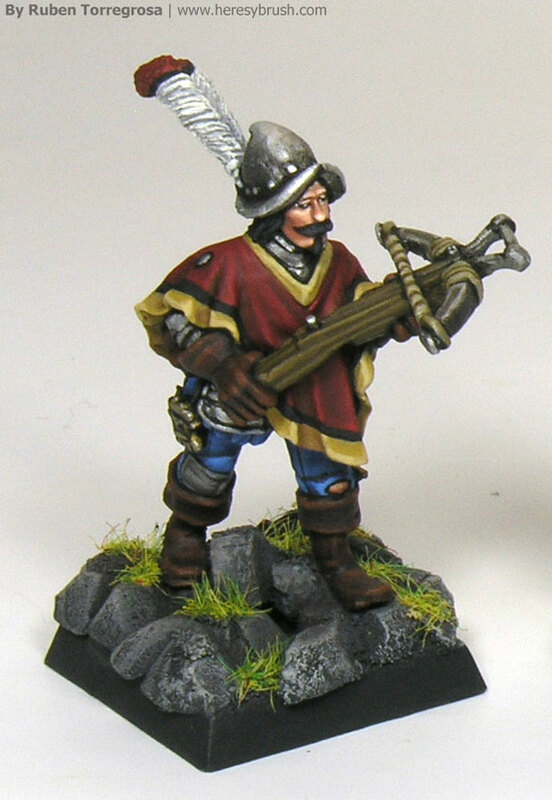 The original warband includes 12 guys. Now, there are another two marksmen and a very big an beautiful ogre!. I can add another member, but I’m not sure what weapons he should wear. I already have five marskmen, so I shouldn’t need anymore!. I think I will use a halberd. For these new guys I have used old Game Workshop figures. 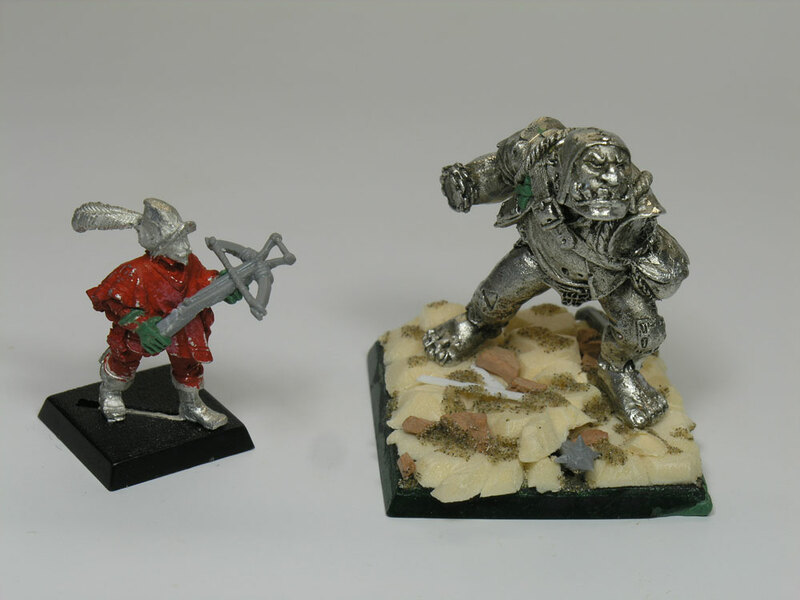 The ogre is the original one from Mordheim, meanwhile the marksmen are conversions. I have use one of the Mariemburg youngbloods and one model from the Pirazzo legion. Once more, I have mixed figures painted 7 years ago with others recently painted. I think the style is quite different, but more or less they fit, aren’t they?